Made from Neoprene, these Progress Professional Pan Handle Sleeves enable you to safely lift hot pans ready to serve dinner. 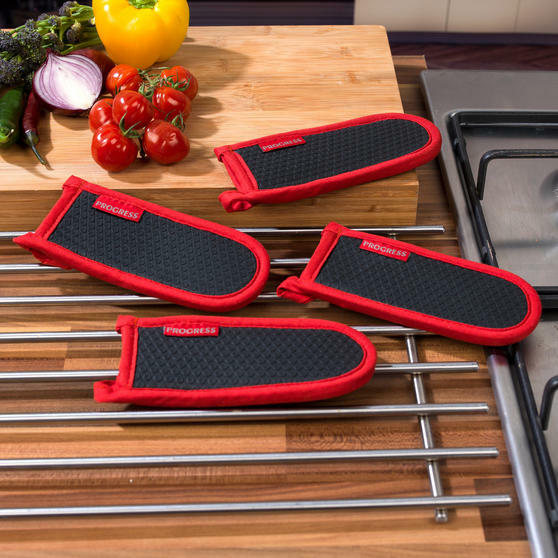 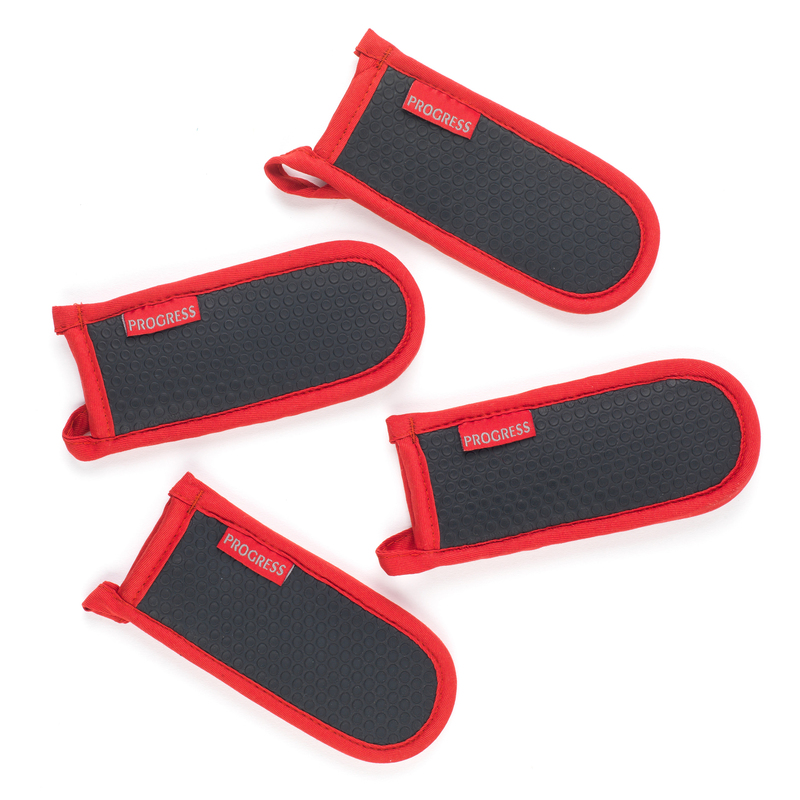 Simply place a sleeve over the pan handle before removing from the heat and the slip resistant material will provide a firm grip, while the Neoprene is heat resistant up to a fantastic 260°. 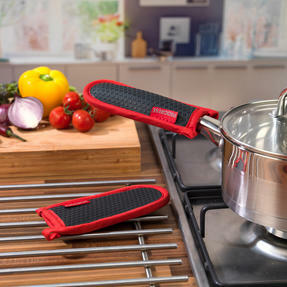 With black material and a contrast red binding made from 100% cotton twill with an attached hanging loop, it is practical to use and neat to store, making it a kitchen staple. With a smart black spotted design and 100% cotton twill contrast red binding, the pan handle sleeves will look great in any kitchen.